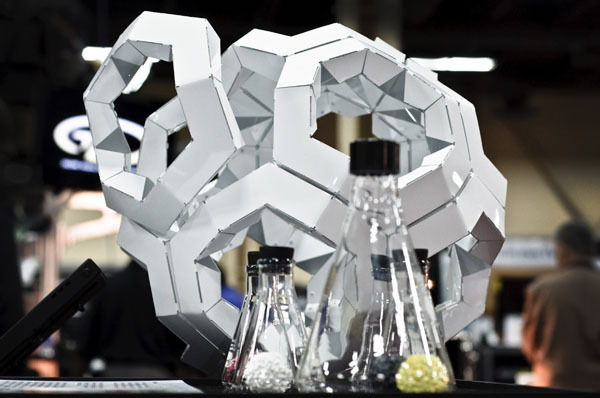 Skylar Tibbits and Arthur Olson, in collaboration with the Autodesk Gallery, have exhibited the Chiral Self-Assembly project at Autodesk University in Las Vegas. 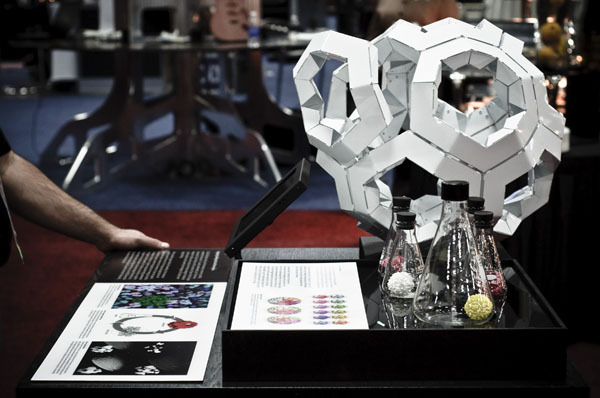 This exhibit focused on the demonstration of self-assembly and molecular chirality, or right-handed and left-handed patterns of attraction. 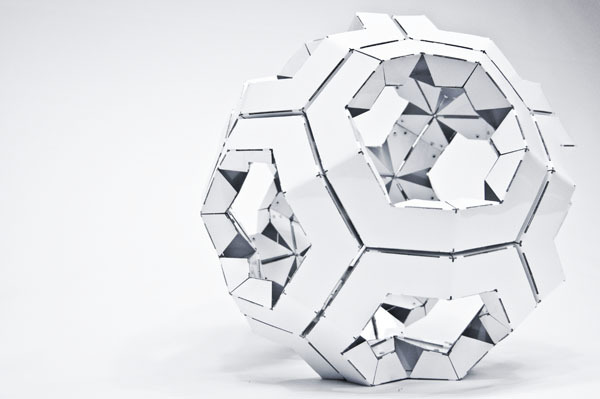 Opposing attraction patterns in the self-assembly units allowed for the parts to sort themselves when combined and shaken randomly. 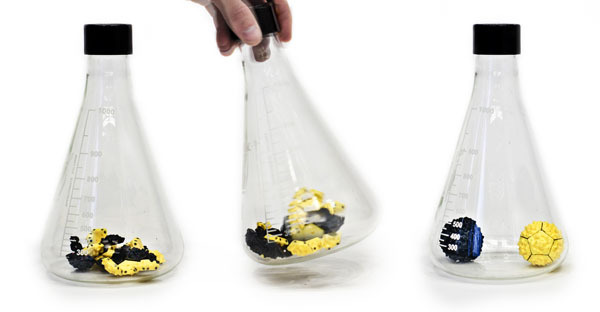 The yellow units and black units eventually self-assemble into two distinct structures, demonstrating error-correction throughout the assembly process. 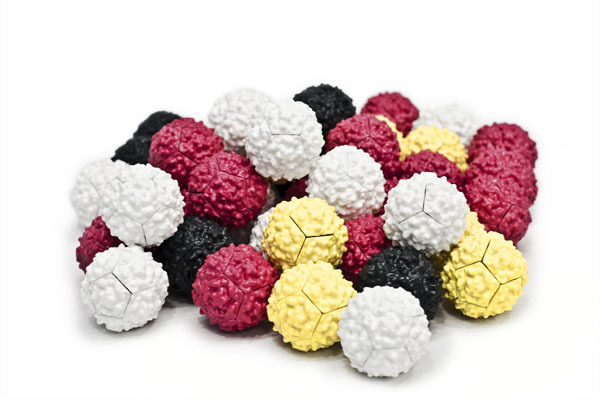 The molecular structures in this exhibit were based on the Polio Virus capsid. 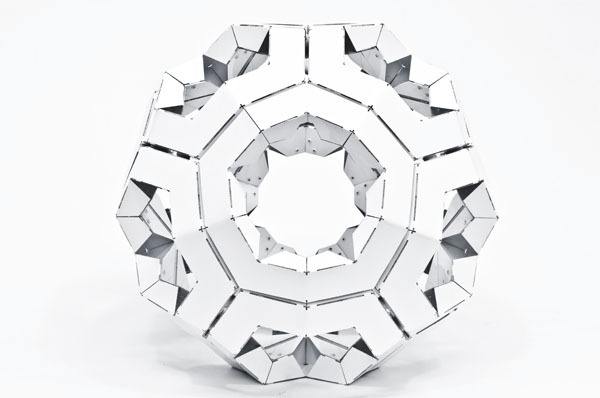 A 24" diameter aluminum structure was also presented to demonstrate larger scale scenarios for self-assembly using real-world materials and connection methods. 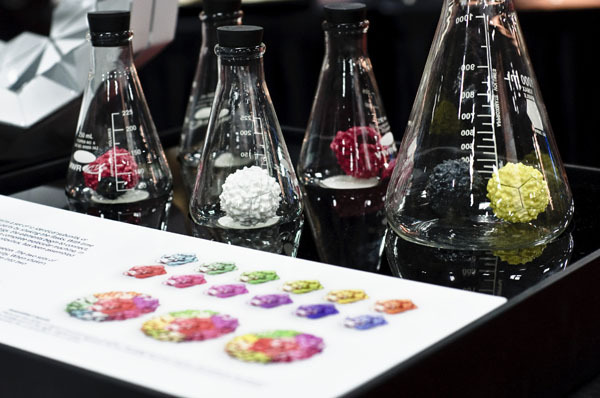 Arthur Olson, The Molecular Graphics Lab, The Scripps Research Institute, Co-Founder of ScienceWithinReach Inc. 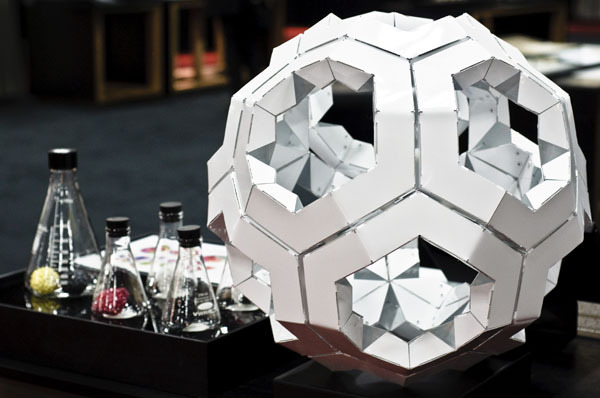 The Molecular Self-Assembly models were developed and distributed by ScienceWithinReach. Production and casting by Design Formations. 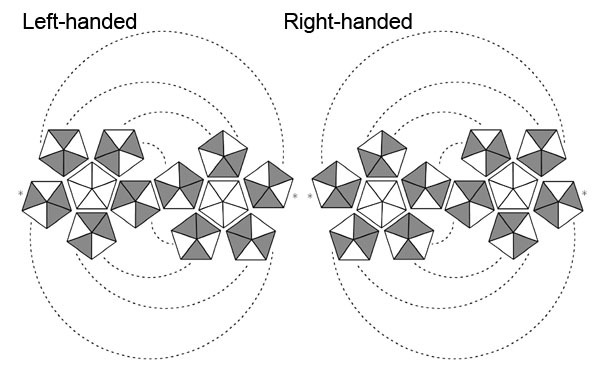 Alternate attraction patterns showing Chirality.